Few things in sport stir the same sort of nostalgic tradition as golf. Count the Rose Bowl Stadium among those few. The Rose Bowl game has been played 105 times since 1902, and every year since 1916. Even two world wars couldn't stop the game, which was moved in 1942 to Duke University in Durham, North Carolina, in the wake of the attack on Pearl Harbor just weeks earlier that launched the United States into World War II. A total of 41 different college football teams have played in the game, and it is the home turf of the UCLA Bruins. Taking care of that turf is as important as managing the fairways at Augusta National. Brandt has been the fertilizer partner of the Rose Bowl Stadium for two decades, a relationship that both sides just made official, making Brandt the stadium's official fertilizer partner. 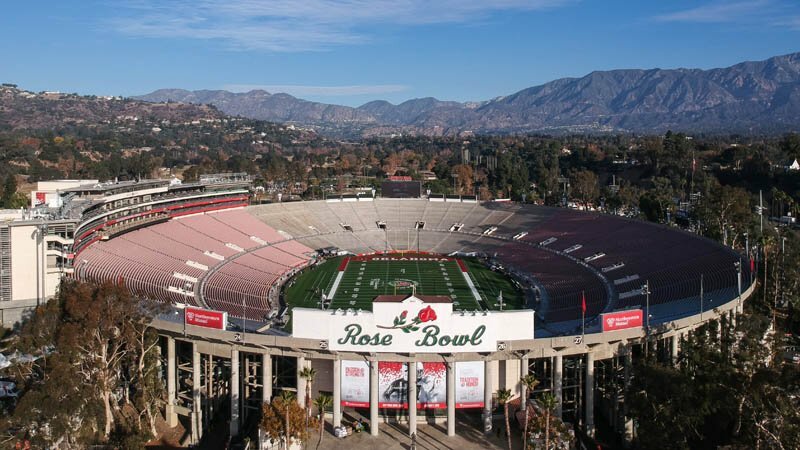 Will Schnell, superintendent at the Rose Bowl, will be on hand at the Brandt booth during the upcoming Golf Industry Show to discuss turf management at the iconic stadium. Brandt's Grigg brand of fertilizers have been used on the Rose Bowl Stadium field for more than 18 years. The field has been named the Best Looking Field in All of College Football and some of the key nutritional products used on the field include Grigg's Proven Foliar nutrient line and GreenSpec granular nutrient line. Both product lines are high quality nutritient blends that have been proven and tested through years of university field trials. "It's my job to give athletes and fans the very best playing field and experience possible. My number one priority is player safety and performance," said Schnell. "I need high quality products that I know will perform consistently and help me achieve the turf playing surface I'm after. The reason I chose Grigg is because the products are the most proven and tested."